Design features 2 tiers finished in Buttercream frosting. On the cake top is a hand made rolled chocolate bible, and name plaque, with coordinating scalloped bow tie. 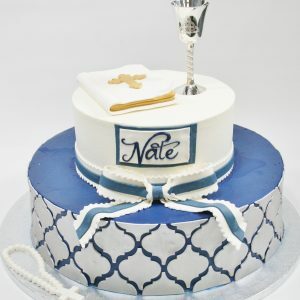 Bottom tier features colored buttercream frosting with full coverage metallic rolled chocolate Ogee pattern, with edible white rosary on the board. 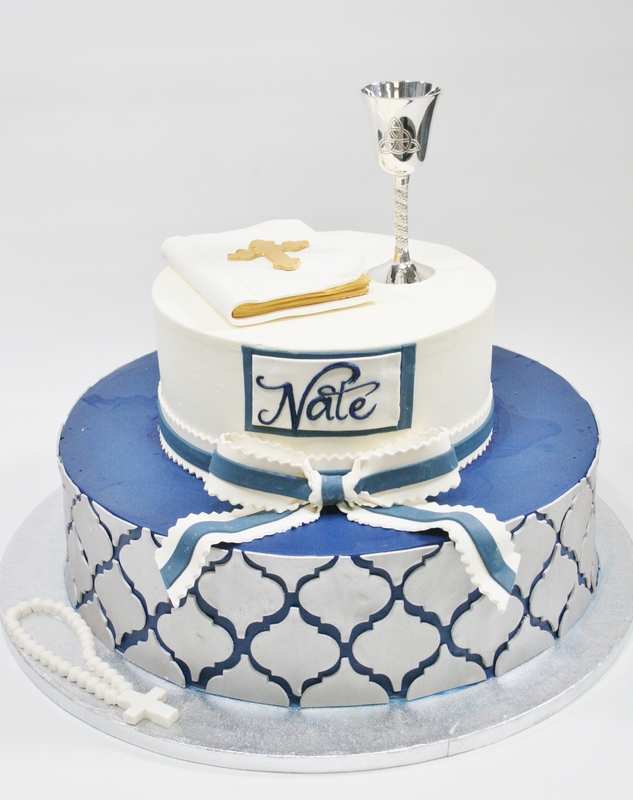 Shown in navy blue, with silver , with customer provided chalice, pricing includes Dessert Works provided alternate chalice.